Dr. Hyman received his undergraduate degree from Union College in Schenectady, New York. He then attended Tufts University School of Dental Medicine where he received his D.M.D. degree. Dr. Hyman completed a general practice residency at Tufts – New England Medical Center in Boston. He practiced general dentistry for five years before returning to New York University to complete his Endodontic Residency. At N.Y.U. Dr. Hyman taught pre-clinical endodontics to the dental students. 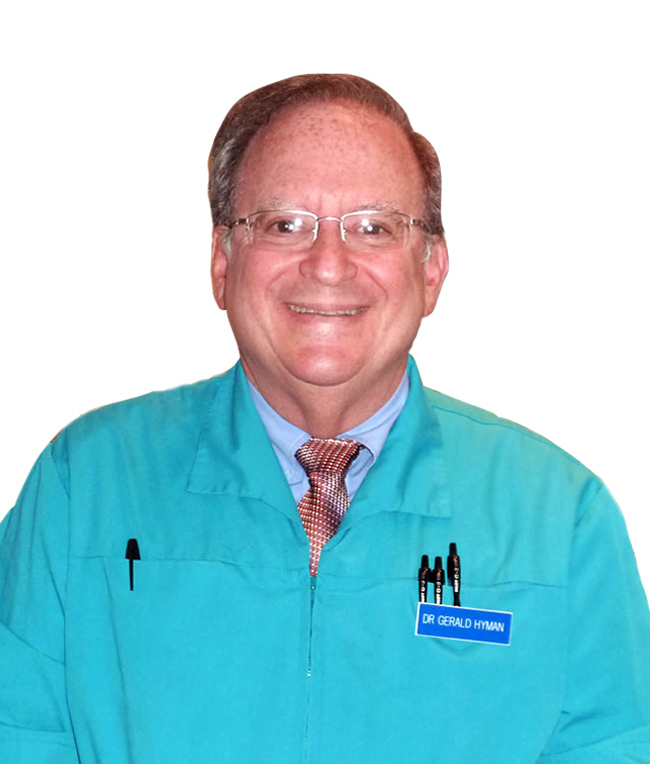 Dr. Hyman has been practicing endodontics for thirty years. He is a member of the American Dental Association, American Association of Endodontists, Connecticut Endodontic Association, Connecticut State Dental Association, New York State Dental Association, Westchester Shore Dental Study Group, New Rochelle Dental Forum, Greenwich Dental Society and Greenwich Study Club. He currently lives in New Rochelle with his wife, Sandy and son, Greg. He enjoys tennis, photography, hiking, reading and travel.